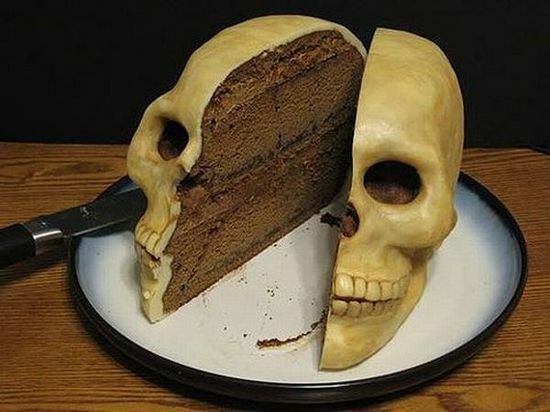 Image: This is the Cake I want for my Birthday!... Who wants a piece? On May 31st I turn 42 years old. 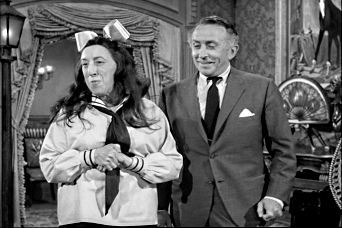 Every year I have a marathon of watching Birthday episodes of TV Series and movies about birthdays. This is usually a 1 or two week type of marathon. But now I have so many shows that qualify for this topic I thought I would attempt a full month long marathon. What I was thinking is every single day of the month (since I have so many) I will watch At Least One TV Episode that celebrates someone's birthday. And during weekends (Fri-Sun) Watch At Least One movie that has something to do with birthdays. This means I would have to watch At Least 31 Birthday TV Episodes and 12 Birthday movies. At my last count I have about 137 TV episodes and 17 movies that would qualify for this marathon. So I definitely have enough titles to make it. This marathon starts on May 1st. I am posting this thread a few days early so that I can ask others about their favorite Birthday related TV Shows and Movies. This way I can kinda get the juices flowing and see if I can't get the mood to come... as it hasn't yet. - The Adventures of Brisco County, Jr. So what do you say... help me get in the mood for this rather large marathon. 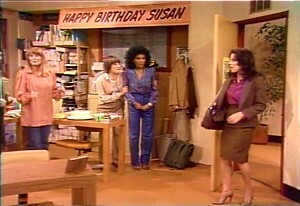 What is some of your favorite birthday moments in TV Shows and movies? Ricky: In all the 15 years we been married this is the craziest stunt you ever pulled! Superman: Wait a minute, you been married to her for 15 years? Superman: And they call me Superman! I know this episode and that scene by heart... and of course know when it is coming every time... yet I can't help but to literally laugh out loud over that scene every single time I see it! Do you have Big Bang Theory? Leonard's birthday is one of the last episodes in the first season. Yes I do... Thank You! I am sure there is more that I have missed. I usually go to tv.com and search the episode guides for the word Birthday for all the sets I have. So if it is not mentioned in the episode guide I won't know about it till I watch the set again. I will have to do a search and see if I can find out the exact episode. Just googled "The Big Bang Theory" and "Leonard's Birthday" and found the title in seconds. Thanks again! Felt like a bit of a laugh today. So thought I would start with this one. I been a fan of Jennifer Garner's every since I first caught her on Alias. This is a fun movie. Like in the movie Big we have a character that makes a wish to be grown up. Jennifer Garner does a great job playing a teen girl trapped in a grown woman's body. Some of the expressions on her face... especially in the beginning where she don't know what is going on... is completely hilarious. I definitely enjoyed this one. Well worth the time to put into it. A serial killer is suspected of murder after a missing Marine's dog tags are discovered in a national forest. This is a good episode. It has a good storyline... and a good pace. I had to laugh at Tony when he saw how that woman he was flirting with didn't shave (her armpit hair and leg hair was twice as long as mine!). He thought fast... and I don't blame him! This one works into the birthday theme because it is Abbey's (my favorite character!) birthday... and she is not happy... as she believe Gibbs (who she looks up to as a father figure) forgot her birthday throughout most the episode. The above picture is of Abbey, the goth forensic scientist, opening the gift Gibbs left when he snuck in her office when she wasn't looking. She opens it and says it is perfection... but we never get to know what it is he got her. Natalie confronts her deep feelings for Nicholas when she begins to date a handsome young man. This man soon releases his own dark feelings upon her. This is a good series that I haven't watched an episode of in a very long time. But it shouldn't be any surprised that I like this one. After all the main character is a vampire. In this episode it is Natalie's thirtieth birthday. Not only does this episode deal with her birthday... but also flashes back to her first meeting Nick Knight (the vampire) 2 years earlier on her twenty-eighth birthday. Seeing the story on how they first met made the episode much more enjoyable. but also flashes back to her first meeting Nick Knight (the vampire) 2 years earlier on her twenty-eighth birthday. Seeing the story on how they first met made the episode much more enjoyable. Sounds like you will be getting to it real soon. It is the first or second episode on disc 4. Melinda's life changes dramatically when she gives birth to a son who possesses a psychic ability that gives him a unique connection to the supernatural. One of my all-time favorite episodes of one of my all time favorite TV Series. This episode cover's the actual Birth day of Melinda's son... as well as fast forwarding to his 5th birthday. I usually don't like time jumps in TV Series... but this one I felt was done very well and I enjoyed every minute of it! With her birthday fast approaching, Grandma Frump does all she can to avoid being sent to a retirement home. This is a good episode... but not a great one. Was kind of weird watching an episode without Grandmama... not sure why she wasn't in this episode. But over all I would say this one was no more then an average episode. Not one I see watching every year for this marathon. But it was worth the time to put into it. Susan has a hard time with the idea of turning 30. This is a show that a good friend of mine gave to me. One I never seen before he gave it to me. But one I enjoyed much more then I thought I would. The set has 2 complete sitcoms that Stockard Channing starred in. Both of which I enjoyed a lot. This birthday episode was a lot of fun. had several laugh out loud moments. It was hilarious seeing Susan (Stockard Channing) on rollerskates. Though her short shorts didn't hurt any at all.